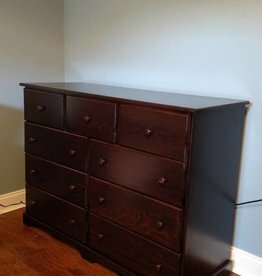 Amish-built small 8-drawer dresser. This dresser goes well with other 9000 series piece. Each drawer features full-extension glides for easy gliding with safety in mind. Unfinished - ready for paint, stain or poly. Amish-built large all pine dresser. Solid wood. Full-extension drawer glides. Unfinished - ready for poly, stain or paint. Measures 51" wide x 38" tall x 20" deep. 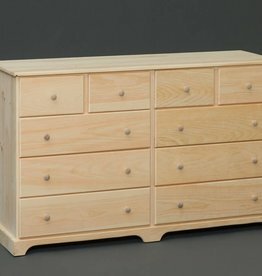 Amish-built small 8-drawer dresser. This dresser goes well with other 9000 series piece. Each drawer features euro-glides for easy gliding on a budget. Unfinished - ready for paint, stain or poly. 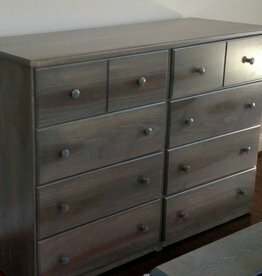 Amish-built large 9-drawer dresser. This dresser goes well with other 7000 series piece. Each drawer full-extension glides for easy gliding. Unfinished - ready for poly, stain or paint. 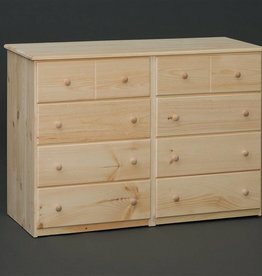 Set of 6 full-size Amish captain's drawers with full-extension glides. Can be added to any bunk or traditional bed. Must be ordered prior to bed being built to ensure accurate height requirements. All solid pine wood. Amish-built large 9-drawer dresser. This dresser goes well with other 7000 series piece. Each drawer full-extension glides for easy gliding. Please specify desired Minwax stock stain color during checkout. 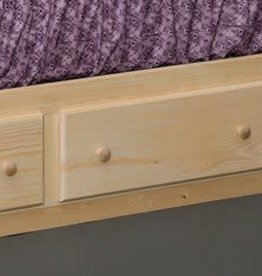 Amish-built small 8-drawer dresser. This dresser goes well with other 9000 series piece. 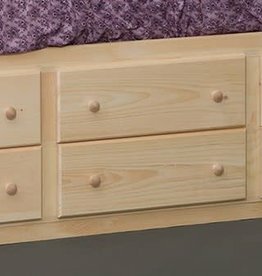 Each drawer features euro-glides for easy gliding on a budget. Please specify favorite Minwax stock stain during checkout process. 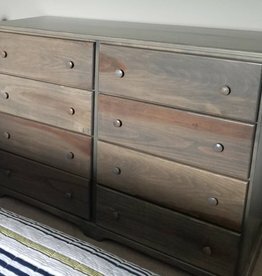 Set of 3 full-size Amish captain's drawers with full-extension glides. Can be added to any bunk or traditional bed. Must be ordered prior to bed being built to ensure accurate height requirements. All solid pine wood. 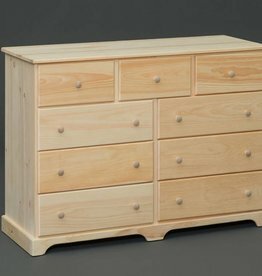 Amish-built small 8-drawer dresser. This dresser goes well with other 9000 series piece. Each drawer features full-extension glides for easy gliding with safety in mind. Please specify desired Minwax stock stain during checkout process. Amish-built large all pine dresser. Solid wood. Full-extension drawer glides. Please specify desired Minwax stock stain color during checkout process.